Postcard FR-368709 from France shows "Le Mastrou", or Train de l'Ardèche. 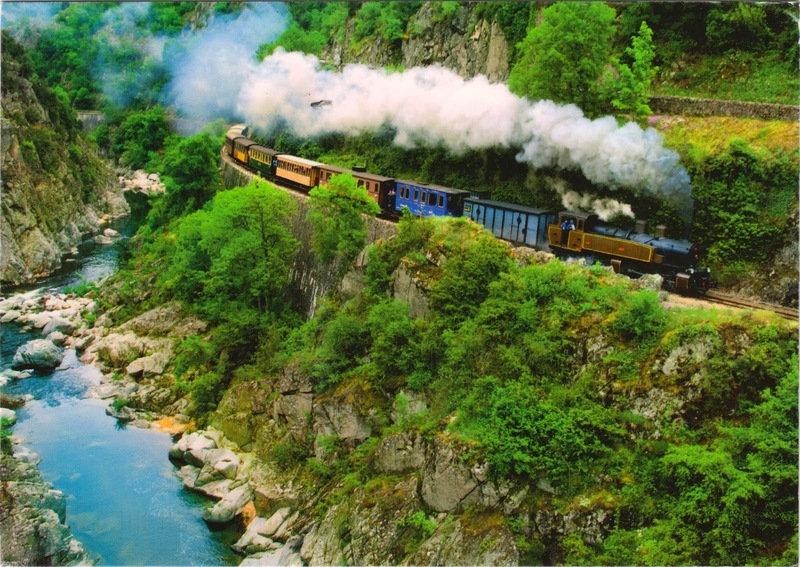 It is a tourist railway in the Ardèche region of the South of France. The network of railways in the area originally opened on July 12 1891, and closed on October 31, 1968. A portion of lines was reopened as a heritage railway in the following year. In 2008, the heritage services were suspended due to lack of funds for repair and maintenance. The services were resumed in 2013.